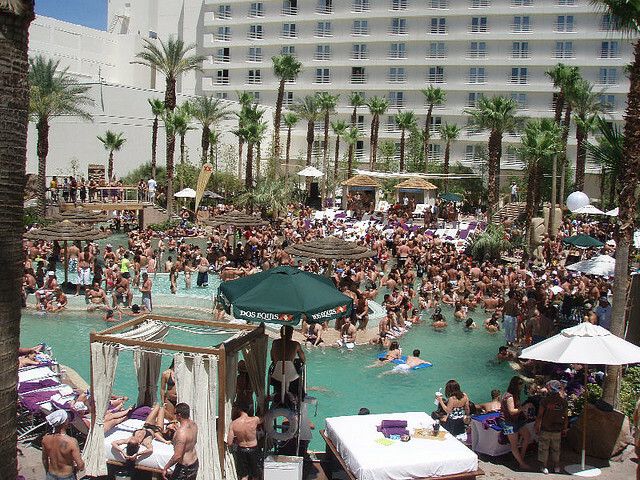 Every Tuesday, The Cromwell heats up at night with a pool party beneath the stars at Drai’s Beach Club. Typically a daylife establishment, Drai’s Beach Club lets guests use its opulent pool space for an event that rivals the daytime iteration. Cabanas, day beds, and bungalows are available for VIP guests, offering private spaces to escape to when the party starts to wear heavy. The same high energy that keeps the club going during the day is infused in this night time pool party. On Thursdays, the ever popular Encore Beach Club offers its space for a moonlit party. Entertainers from all over come in to fuel this engagement, where guests will be able to experience the Encore’s extravagant pool area without the qualms of the desert sun beating down on them. The same lavished amenities available during the day can be reserved at night, so if you’ve wanted to hang over Las Vegas Blvd from the balcony of your own private bungalow, this weekly party will let you do so. 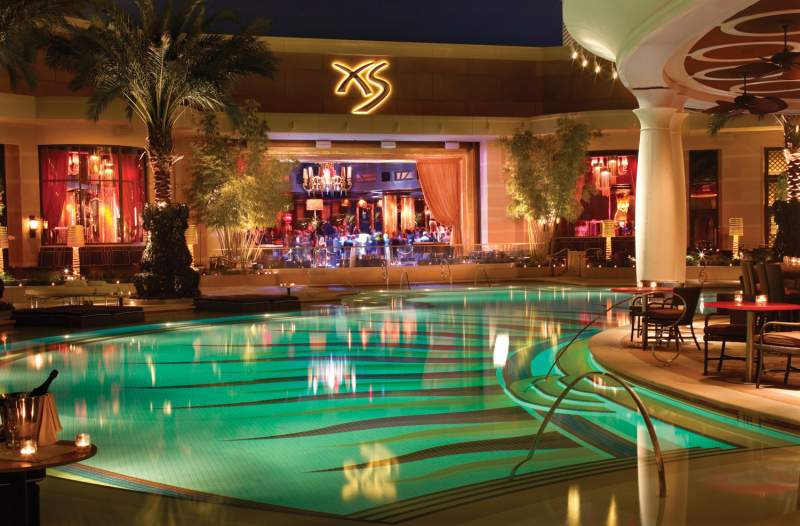 Closing out your weekend or starting up your week, depending on how you look at it, Sunday’s feature two very large night time pool parties, one at XS and one at Mandalay Bay’s Daylight. As can be expected, XS’ outdoor space is just as comfortable and ornate as its gold-laced interior. It’s impossible to not get pulled into the party, which will be fueled by world class entertainment. When the night falls on Sundays, Daylight will give way to Eclipse. The large pool area of Daylight gives way to one of the hottest nightlife parties on the Strip, and that includes the nightly parties at clubs throughout the city. The large backdrop of LED screens surrounding the main stage contribute to a light show that is bound to illuminate the desert sky. Outside of avoiding the scorching sun, these parties also offer a very lax dress code, allowing guests to show up in comfortable swimwear rather than the normal dress code requirement. 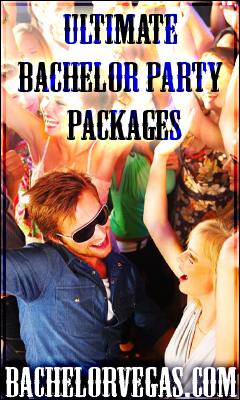 Guests get to be comfortable and enjoy their time in these popular establishments. When the urge to party at night hits you and you don’t want to be stuck inside a nightclub, these events are a great alternative. Experience the Las Vegas nightlife the way it was meant to be – with no walls between you and the desert sky. This entry was posted in Nightlife, Pool Party. Bookmark the permalink.